A Florida watchdog group is joining forces with similar groups from other states to call for stricter regulation of public-private economic development ventures. But, it’s only the latest skirmish in a years-long battle between Integrity Florida and Enterprise Florida. 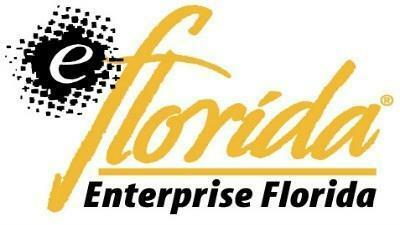 Enterprise Florida was created in 1992 to help lure more businesses and thus more jobs to the state. The public-private partnership is governed by a board mostly made up of CEOs from companies that invest in Florida. It’s that makeup that has drawn the ire of both right- and left-leaning watchdogs. Integrity Florida Founder Dan Krassner says a poor governing structure and lack of transparency make Enterprise Florida and similar entities around the country rife with impropriety. Krassner argued that means taxpayers aren’t getting a good return on investment. “Enterprise Florida is less than halfway to its goal of 200-thousand, higher paying, high-tech jobs, supposedly by 2005. More than 60-percent of projects have produced zero jobs. More than 85-percent of projects are underperforming,” Krassner said. But Florida State University Professor of Urban and Regional Planning Sam Staley thinks it’ll take more than economic data to force a change in policy. He said although ventures like Enterprise have been consistently shown to be ineffective, they have big political implications for state officials. “The perceived negative effects of not getting that one company in that ending up in the headlines of the Tallahassee Democrat or the Tampa Bay Times will create political fallout that would be hard for an elected official – either a state representative or state senator, or the governor to really rebound from,” Staley explained. Integrity Florida’s Krassner renewed calls for more accountability at the state’s economic development agency during a Wednesday conference call while announcing the release of a national study of privatized economic development conducted by the left-leaning group Good Jobs First. All of us have bad days from time to time. Occasionally, we may even have a few bad days in a row. Tom Flanigan reports that, for Florida’s private-public organization that does economic development, this was definitely a bad week….